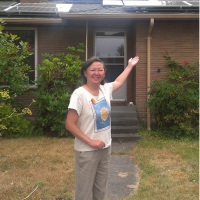 Solarize Northwest brings clean and affordable solar energy to communities in Washington and Oregon. By partnering with community groups and local installers, we help neighbors come together to save time and money through the group purchase of solar systems. A limited time offer to get a great deal! Solarize Northwest is a program of Spark Northwest, a 501(c)3 non-profit organization dedicated to creating communities powered by locally-controlled clean energy. We partner with a number of groups on Solarize campaigns, including community organizations, solar installers, utilities, cities, solar lenders, and foundations. Visit the Spark Northwest website to learn more about our work. Do you intend to roll the project out in more communities? Yes! We offer several levels of support to communities interested in running a Solarize campaign, from training the trainers to managing the full campaign. See our project support packages here. How are Solarize communities selected? We work with utilities, local governments, and community groups who partner with us to run a Solarize campaign. See our project support packages to learn more. Occasionally, we seek outside funding for campaigns based on interest and need. Sign up with Bring Solarize to Me so we know your community is interested! How are solar installers selected for a Solarize campaign? A team of community volunteers uses a competitive process to select a solar installer, with support from our staff. The team develops and circulates a “Request for Proposals” to local installers, then evaluates and interviews the top proposals. After this rigorous and competitive selection process, the community group selects the solar installer that they believe will provide the best value to the community. What is the process to go solar through a Solarize campaign? Attend a Workshop. Come to a free public workshop to learn everything you need to know about installing solar on your home or business. You’ll learn about the maintenance, costs, incentives, and financing associated with solar PV. You’ll also get to meet your community-selected installer and representatives from your utility and local lenders. Get a Site Assessment. After you attend a workshop, your community-selected installer will contact you to schedule a free site assessment. The installer will visit your site to look at roof orientation, shading, and whether you need any upgrades to your roofing, structure or electrical services. From there, the installer will discuss your budget, electricity use, and goals in order to design a system that works for you. Sign Your Contract. Next, your installer will send you a system proposal with details about the system, costs, and expected savings. Sign your contract by the campaign deadline to lock in the Solarize price! Until you sign a contract, there is no cost and no obligation to proceed. Go Solar! Congratulations on your new solar system! The installer will schedule your installation so you can start producing clean, renewable energy! What if I’m outside the current campaign area? You’re still welcome to come to one of our workshops! All the details of how solar works and whether it’s appropriate for you are still true even if you’re on the other side of the street. The only difference is that you won’t be automatically eligible for the Solarize discount. However, you can still talk to the contractor at the workshop and see what they can offer you. There are also a number of other solar installers who you could contact for bids; most utilities maintain lists of installers on their website, or you can review our list of past community-selected contractors for Solarize campaigns.